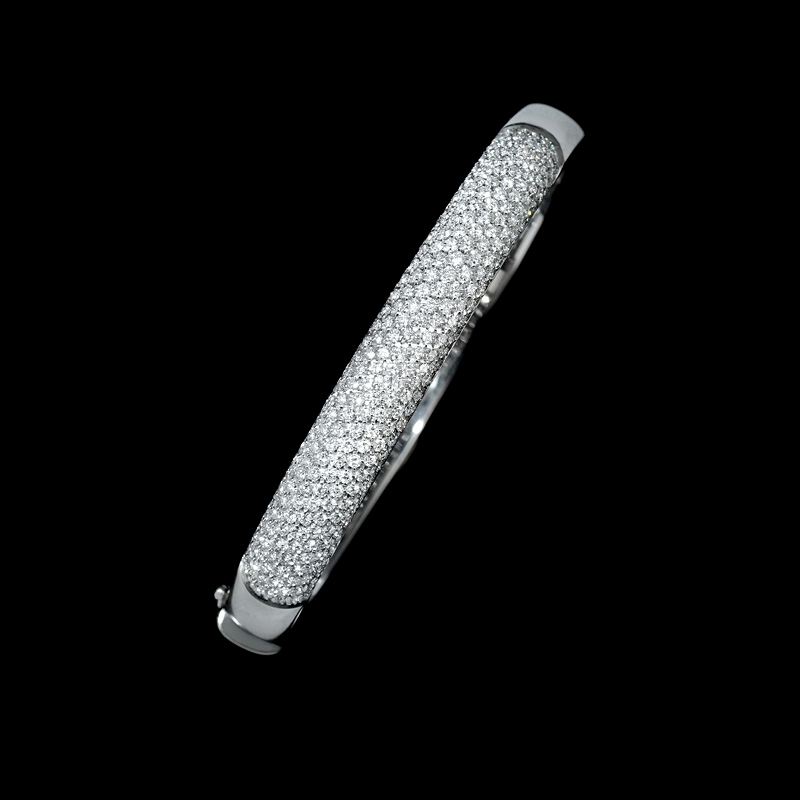 Diamond Details: Round brilliant cut white diamonds, pave set, D-E color, VVS clarity, with excellent cut and brilliance, weighing 3.02 carats total. Bangle Details: Leo Pizzo 18k white gold design. 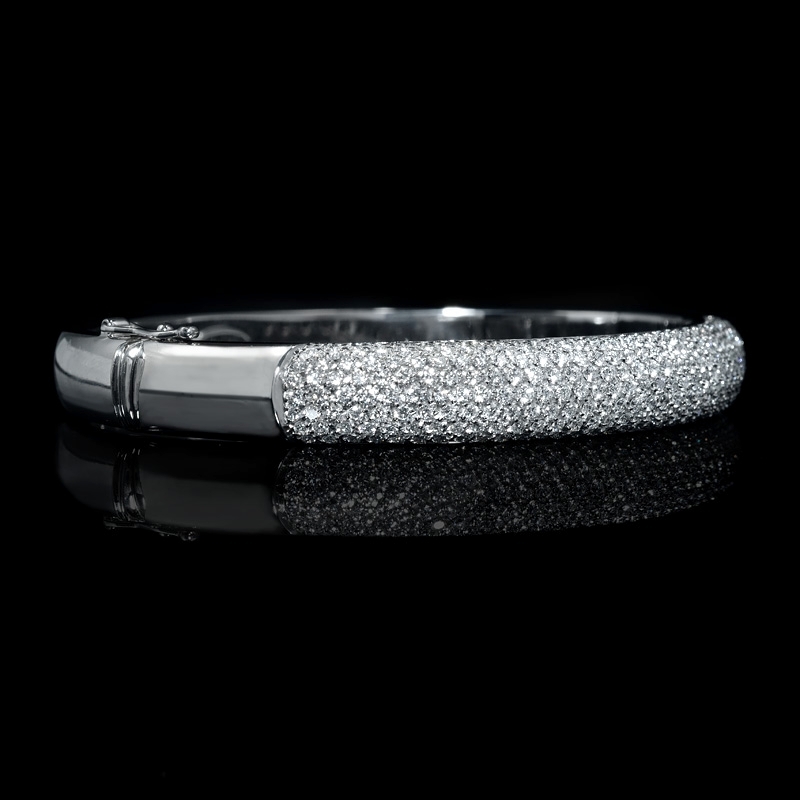 This intricate and stylish Leo Pizzo 18k white gold bangle bracelet features round brilliant cut white diamonds, pave set of D-E color, VVS clarity and excellent cut and brilliance, totaling 3.02 carats. 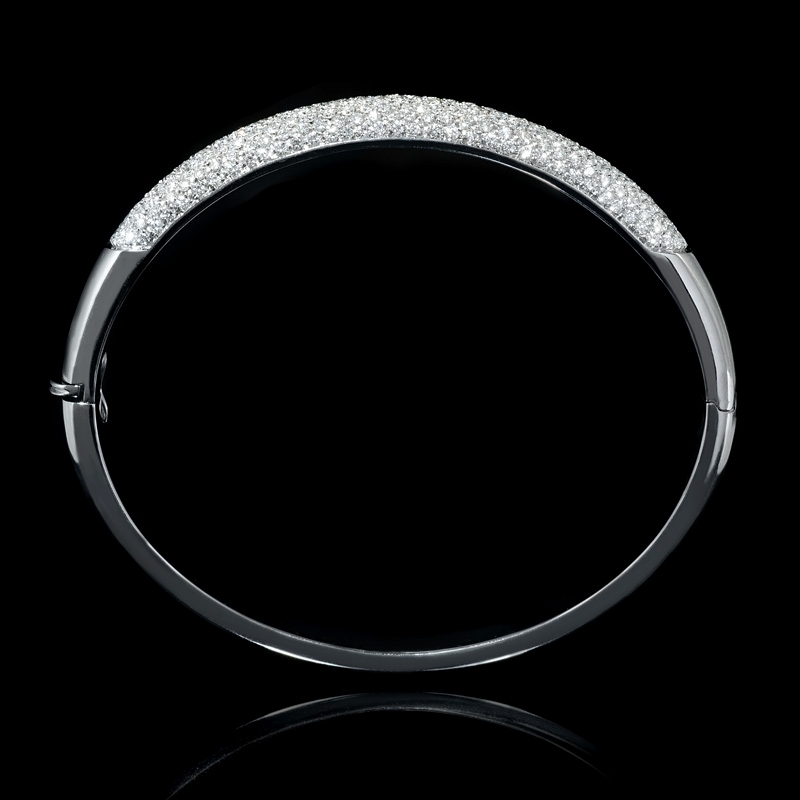 Designer, Leo Pizzo has long since been known for innovative and exciting designs. 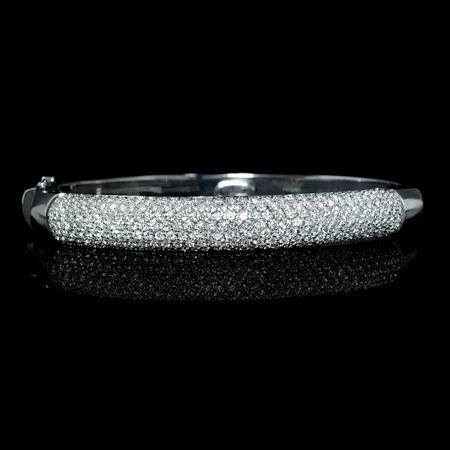 This diamond bangle bracelet measures 8mm wide.